Please note this caravan is aimed at families therefore bookings for groups of young adults unfortunately cannot be accepted. To reserve your requested dates a security deposit of £50 is required with your completed booking form. Payments can be made via cheque, postal order, bank transfer or Pay Pal. PLEASE BE AWARE THAT RECEIPT OF A BOOKING FORM AND DEPOSIT IS REQUIRED TO RESERVE YOUR HOLIDAY DATES, BOOKINGS ARE ON A FIRST COME FIRST SERVED BASIS SO PLEASE BOOK EARLY TO AVOID DISAPPOINTMENT. The security deposit is refundable within 14 days of your departure providing no damage has been caused. It is not refundable upon cancellation of your holiday. 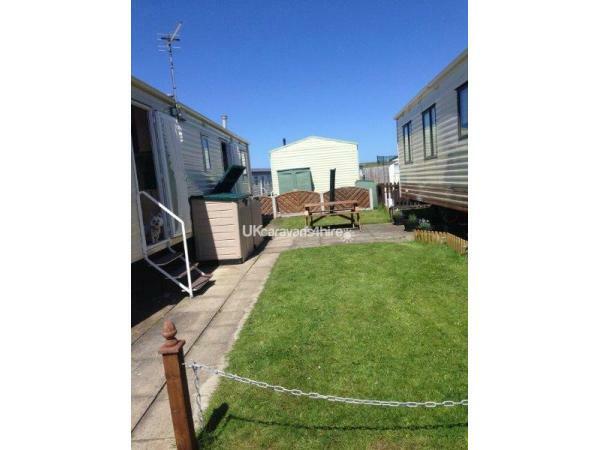 Situated on Golden Gate Holiday Park. 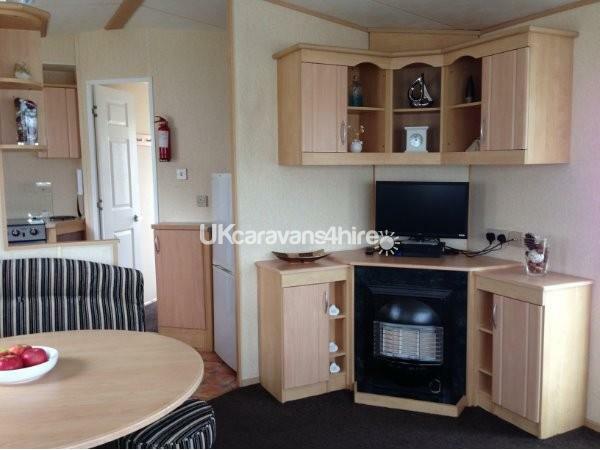 A beautifully furnished 3 bedroom caravan sleeping up to 8 persons. 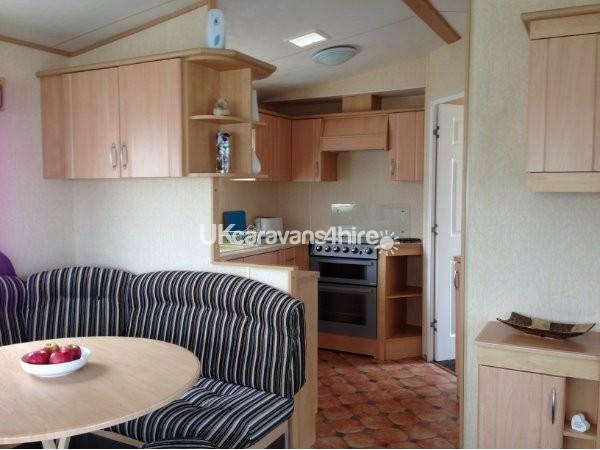 A spacious and open living area with flat screen TV /DVD facilities, dining area and kitchen. There are a selection of DVDs, PS2 and PS2 games available, books and board / children's games. Gas and electricity charges are included in the rental price. crockery, cutlery, glasses, kitchen utensils, saucepans, frying pans and roasting dishes, iron, small ironing board and hair dryer. The sleeping area comprises of 3 bedrooms, 1 double, 2 twin rooms and a fold out double bed in the living area. Quilts (2 doubles and 4 singles) and pillows are supplied. Bed linen can be supplied upon request at an additional charge of £8 per room, consisting of duvet cover, pillowcases and bedsheet. Beds are made up ready for your arrival. We are now able to offer the use of a washer/dryer at a cost of £10 for the duration of your stay. We are unable to accept pets sorry due to Golden Gates site policy. 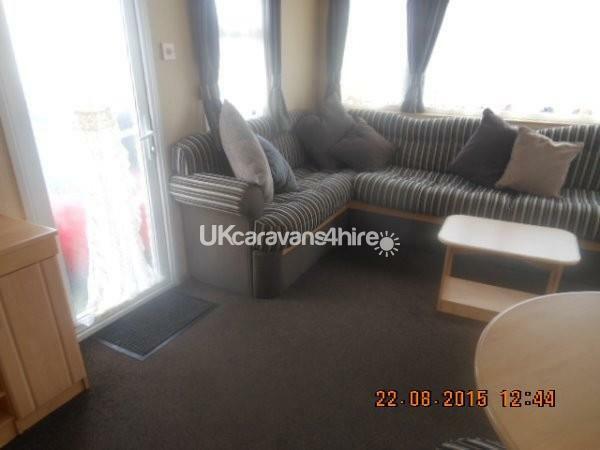 Lovely caravan, very clean & comfortable. Mandy was very helpful when making the booking & knowing we could contact her at anytime, if we needed to. 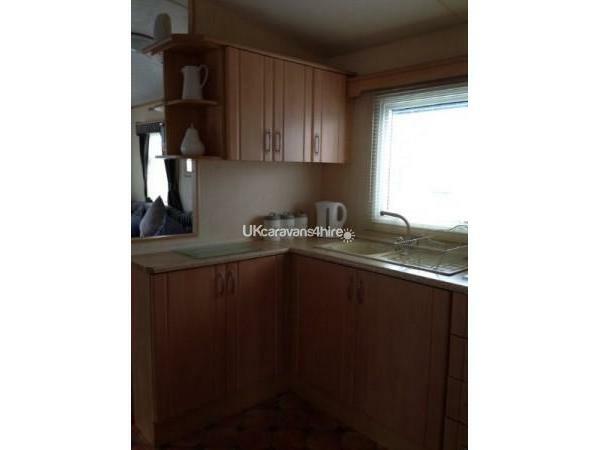 Would recommend my friends & family to stay in this caravan. Really enjoyed our stay, we were a joint family of 11 that stayed in Mandy's caravan with small children. Everything was made easy for us before we arrived. 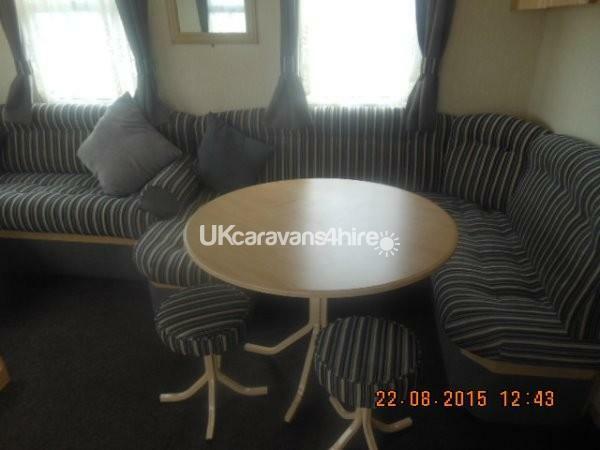 The caravan was really lovely and relaxing. Close to all areas around wales for our children, the zoo, swimming, cinema, beach, fun fair and many more. The kids already want to come back and stay again in next school holidays and I will definitely be booking again with Mandy. Thank you again for our lovely stay and look forward to staying here again !! Definitely recommend !! Had a brilliant holiday. 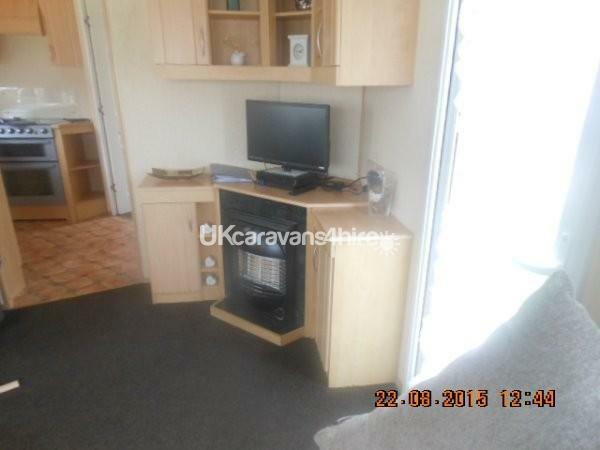 Caravan location brilliant,close to the beach. Very clean and homely. We would definitely recommend staying here. Communication with Mandy was great, always there to help. Great customer service. The caravan is clean and tidy and has everything that's needed including a ps2 which made my grandchild extremely happy! Mandy was very helpful when booking and we had a very good holiday. Brilliant value for money and would definitely recommend to others, we hope to stay again in the future. 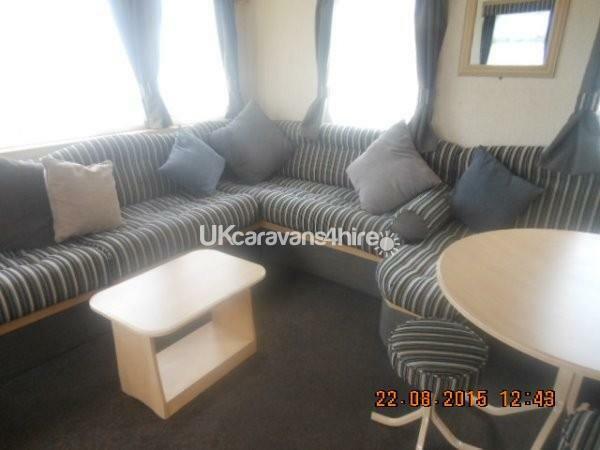 The caravan is lovely and clean and has everything you need. On booking and initial contact, Mandy was really helpful and welcoming. 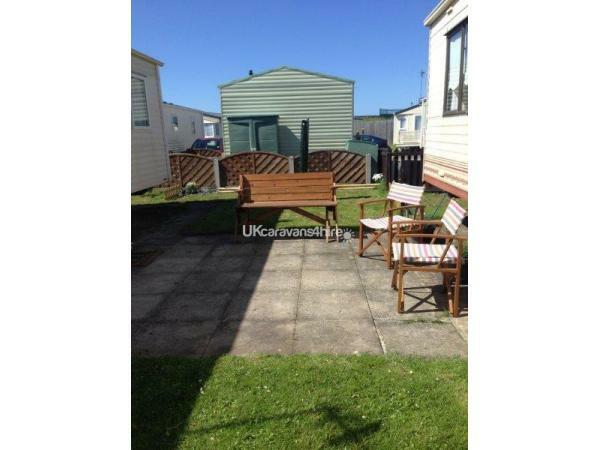 The caravan is situated near the site reception and is only a very short walk to the beach which is also nice and clean. Towyn has plenty going on to entertain all. We will defiantly visit again and hopefully use the caravan. Great time. Thanks. 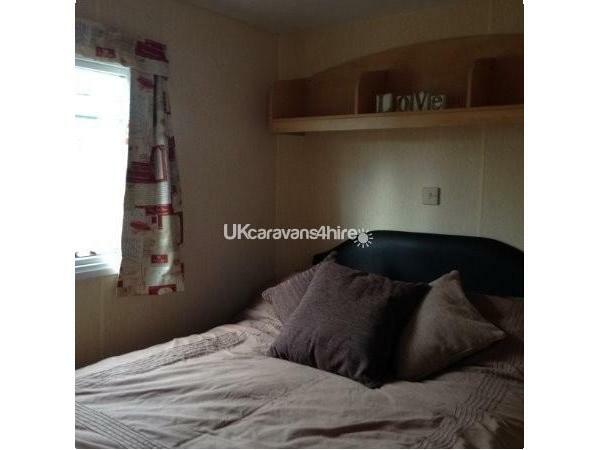 We decided to look for a Caravan at very short notice(the day we wanted to travel) called Mandy who was herself staying in the Caravan, about half an hour later we received a call from Pete (Mandys Husband) asking if we had found a caravan, we hadn't! they offered us there's and they would leave! We traveled to the Caravan where Pete met us at the main gate and took us to the caravan, which was in a good spot(Nr to Reception and the beach) the caravan has been re-furbished to a very high standard, seating, dining area very comfortable, Kitchen has everything you need, also PS2 with lots of games and DVD's! 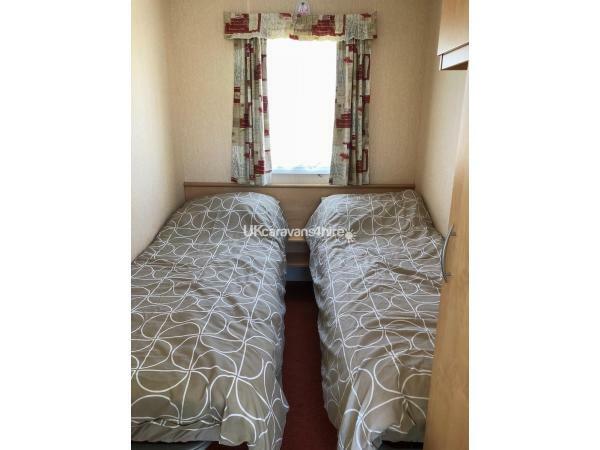 Double bed very comfortable, with heating in all bedrooms, excellent value for money! 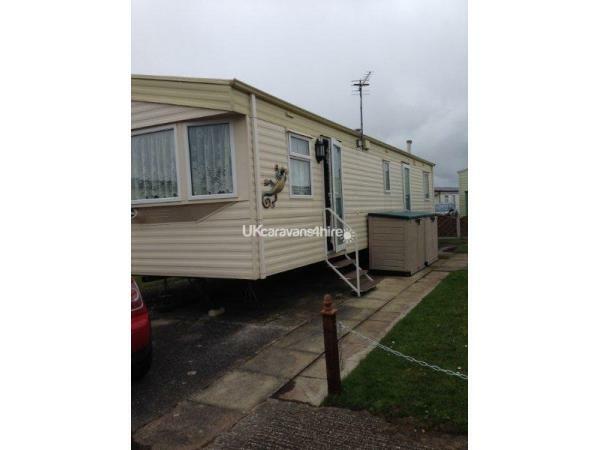 We highly recommend this Caravan, we had a lovely stay and will definitely be back! Thanks again Mandy & Pete for giving up your weekend! we had a super time! hope to book with you again soon!